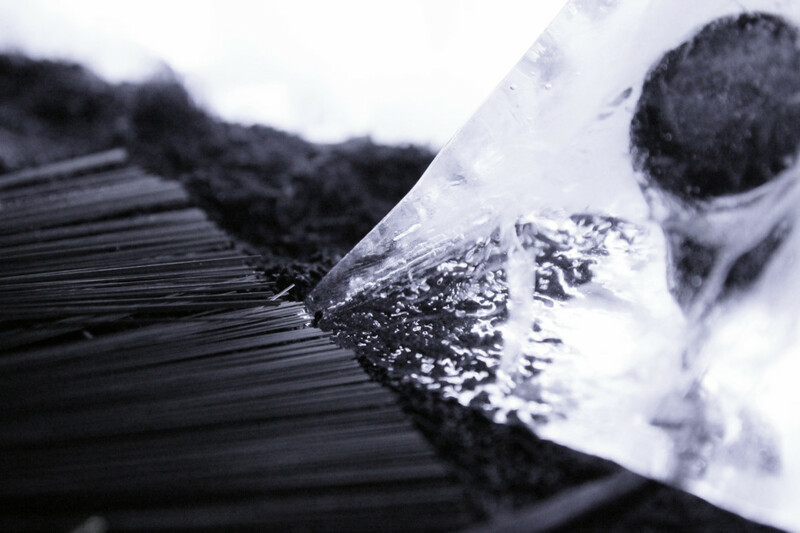 Inner Out is a multi-channel concert for ice and Live Electronics. 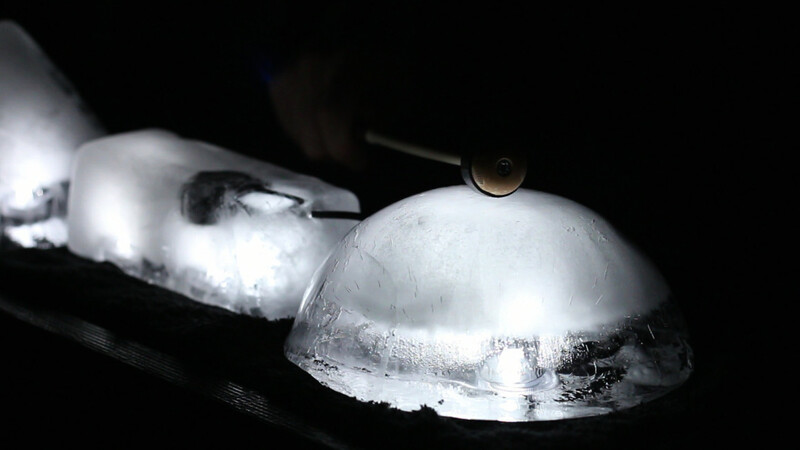 The piece focuses on the micro-sounds created by melting ice. The idea is to amplify sounds that generally are not audible. Inner Out is inspired by macro photography that can provide, for example, the ability to closely observe the veins of a leaf. 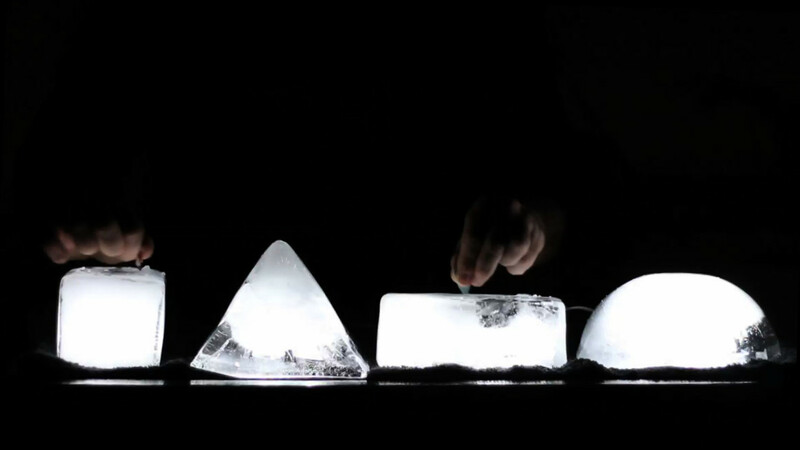 The sound textures and the percussive elements are generated from ice blocks used as musical instruments. Inside each block, there is a hydrophone, a waterproof microphone that can be frozen. During the concert, the blocks are played with drumsticks, plectrum, guitar strings, etc. The blocks are four, and they differ in size and shape, to obtain different acoustic behaviors. The work is an investigation that tests and explores the ice as matter, its shapes plasticity, the related natural constraints and the matter states. I decided to use ice during a live performance to underscore its ephemeral nature. The achievable sounds are always different because of the microphone freezing position, and because of the unpredictability of the sonic outcome of the melting process. The sounds come both from inside the blocks, thanks to the melting process, and from outside, thanks to the performing actions. Inner Out is characterized by a quadriphonic sound spatialization, to immerse the audience inside this particular material sound timber. Having a particularly rich sound spectrum, ice is a suitable source for the timbre spatialisation. The piece involves the performance of a series of actions on the blocks, from the perspective of a relation between gesture and spatialised sound. During the ending section, the blocks are melted, by pouring boiling water on them. The long nature of the preparation process, which requires several hours in order for each block of ice to be fully formed, establishes an intimate connection between the instruments and myself. 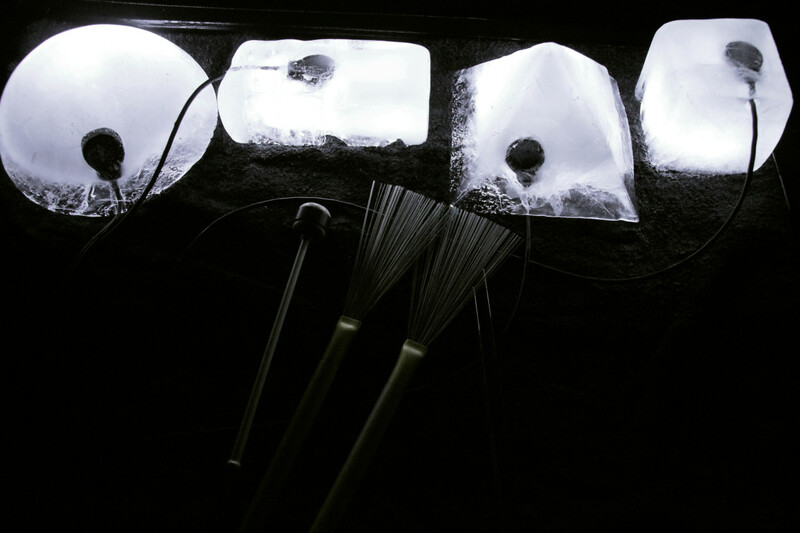 Considering the concert staging, the only source of light for the performance comes from inside the ice blocks, where small waterproof light sources are located. The blocks have simple, linear, geometrical shapes, and the performer is only dimly lit. The ambience is ritualistic and ancestral. Spectators can choose whether to watch what happens on stage or submerge themselves in acousmatic contemplation. For this work, I’ve been inspired by the dialectic that exists between the men and nature, especially between the men desire for control and the unpredictability of natural events. The piece wants to evoke the relationship between the inner intimate internal world, and the public and the external one, exploring a series of dichotomies like: macro/micro, man/technology, public/private, intimacy / immensity. Inner Out, thanks to its performative element, intends to bring part of the creation process of electroacoustic music into a live concert.